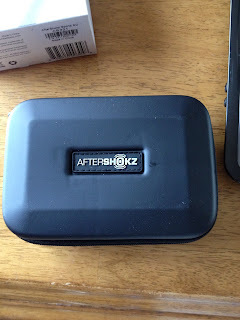 When I was offered the chance to try out AfterShokz Sportz M2 headphones I was a little skeptical, but agreed to try them out. 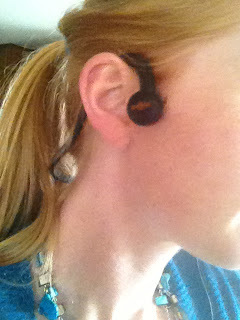 I am not much of a tech type person and am generally happy with my the ear buds my iPod came with. 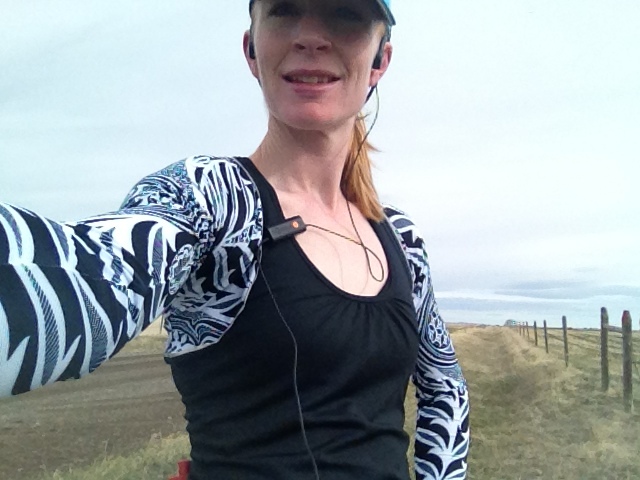 I usually run with one earbud in and the other one tucked into my bra so I can hear what is going on around me at least a little bit. so what is AfterShokz claim to fame and uniqueness? They use bone conduction technology. The ear pieces don't actually go in your ears, they go in front of them. This leaves your ears open to hearing things like cars approaching, people talking, birds singing, and my little doggy's footsteps as he runs beside me. Why is this so great? SAFETY! 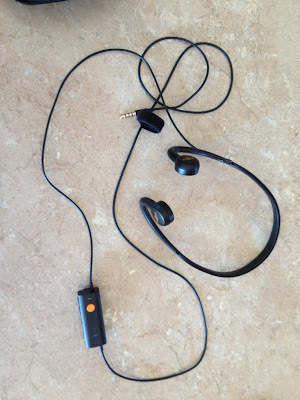 When I use them with my iPhone, I can take and receive calls through the headphones and the mic that is in the controller. Very comfortable and easy to forget I had on. I never had to adjust them. They never fell off. Controller is easily clipped to shirt or bra. I had entire conversations with people while listening to music on these. Comes with an awesome carrying case. Works with my iPhone and iPod, and iPad. I can use it as a hands free device in my car. The case they came in. I also use it to store my iPod and the charging cable for my iPod now. Very handy! Since they operate on a battery (it does last about 12 hours) it means another thing I have to remember to charge up. So far I have only had it run out of battery on my once, and really that was my fault since I knew I should charge it and neglected to. In the picture below you can see the controller clipped to my tank. 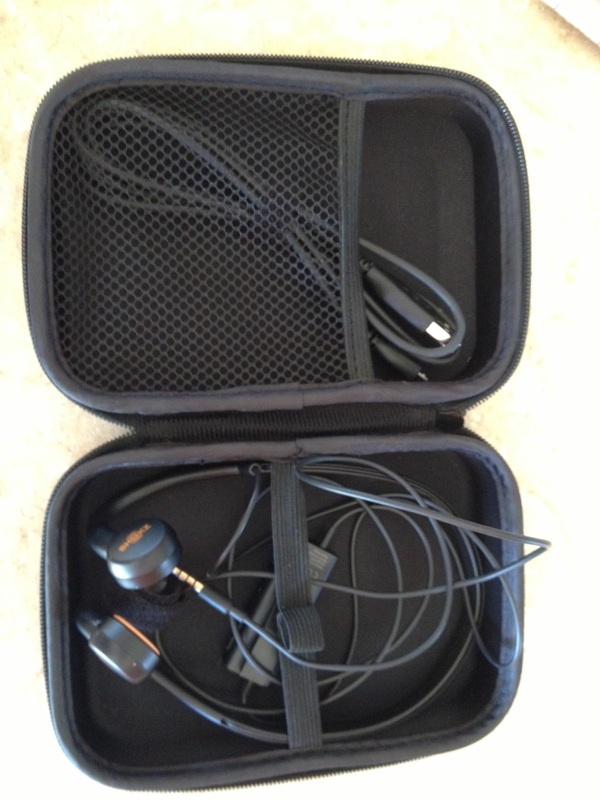 If you are looking for pristine sound quality this is not for you. The sound is pretty good, but since it leaves your ears open. If you have the music up loud or put the earphones around your neck others around you can hear it too. Which may be annoying for some, especially in a race. They are water resistant but not water proof, so they aren't good to wear in the rain. I have been wearing them for about a month and am in love with them. I listen to a lot of podcasts when I run and the sound quality is great. I love being able to still hear the birds singing and vehicles approaching. What the whole thing looks like in case you were curious. Want to learn more? 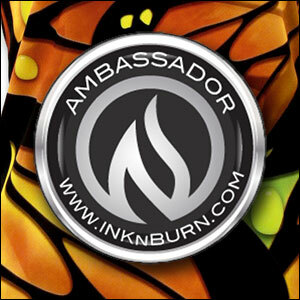 Check out their website HERE! Do they stay on well? I'd be afraid of them bouncing around and having to keep adjusting them. Wow that's crazy!! I'd hate to have a cord AND have to charge them. I like my bluetooth headphones and I'll deal with charging them because I don't have the annoying cord. Could you hear like normal headphones? I would never buy a pair of headphones that had to be charged. Would be a total pain. And $79.95 for headphones? THAT'S INSANE. These sound interesting but I don't know that id like that little box. Sounds interesting, but I would always forget to charge them. I am not much of a music person anyway. Hmmm...seem expensive and not so easy to use, but for safety purposes might be worth it. I don't run with headphones often for just that reason, but I think their price point is too high. WOW I've always wondered how earphones like this work! That was a good review, and just like you said, I would suspect the sound quality isn't great, but they look worth a try. But for $80, I guess I better like them - ha. Do you look like a secret service agent with only one ear bud in? This is the SAME way that swim headphones are designed. I have a pair that use while I swim and that press against the bones under my ears. Pretty cool arent that!? Wow! They sound cool, but probably more than I would ever pay for headphones since I rarely wear them for workouts anyway. Thanks for the review.